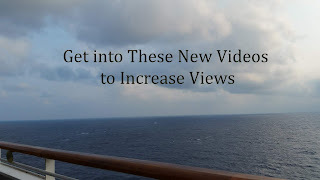 Note: In this post, I have links that you can click on to watch the different types of videos, as well as affiliate links. I receive no credit for the videos I show, but I appreciate it that you give them some love by subscribing to these channels. For the affiliate links, I do get a small percentage of any purchases made. Thank you. popular video on your subject. Stay tuned, I am going to show you what types of videos you can make without pulling your hair, and ready to shut down your channel. I just watched an ASMR. What is an ASMR? It is a new type of video (at least new to me), where you stimulate the senses. ASMR stands for Autonomous Sensory Meridian Response. It is supposed to be like pins and needles to your body. It starts from your scalp and it is supposed to stimulate all the way down your spine through the help of a microphone and simulating that feeling. Laura Lemurex-ASMR and GentleWhisper (named Maria) are some of the top people who know how to stimulate you in all the right places (If you are into that sort of thing). The one I just watched was Laura’s and this included stroking, brushing of the makeup brush, and scratching her nails on one of those big microphones you use for voiceovers. I have also watched (rather listened to) one of Maria’s videos. I cannot say that I am a fan of this type of video, especially one that involves scratching one’s nails on a microphone that is amplified to heights unknown only to that of a 747 plane, but maybe I will learn to appreciate the effort. I like the whispering one better, but if this is still a trend when I hit 70, will my old ears be able to hear it, LOL? Do not expect neither one to come to my channel anytime soon. Muckbang, or however you spell it and pronounce it, is the art of buying a bunch of already prepared food and have a smash party with it. I have watched several, and even attempted one, except I did my version, a single food, but I did not post it. Why? Because I have seen several of these videos, and they had several types of food from the same place or one type of food from several different places, and frankly, I do not like mine. I will erase it from the hard drive. It is basically gluttony at its finest, and they say it is a sin, but I have committed several since the age of 0 days, and the Good Lord God has not struck me down yet, so I am good. Not sure if my doctor will have the same reaction as God, but I will tape it again with a different food, and maybe I will invite someone to share this Muckbong with. Stay tuned. This goes with Muckbong. If you do not want to buy the food, maybe you can cook some food, and have a Muckbong with it (hmm, a Leftover Muckbong sounds interesting). No, just kidding. What I really mean is make your favorite dish on camera. My favorites are Tasty, Food Wishes and Laura Vitale. Basically, if you want to make it like that, it is simple: find a dish (Laura sometimes does her family dishes and American favorites), get your ingredients, prep the ingredients (so people will not have wait while you are slicing and dicing), and make your dish. You can also show cooking with your 4-year-old. I have a fondness for reviews, rather they are gadget, travel, a restaurant, or shopping. I love them all. I love them so much that I make them myself. I have not made many, but I made enough to know what a person would like to see. 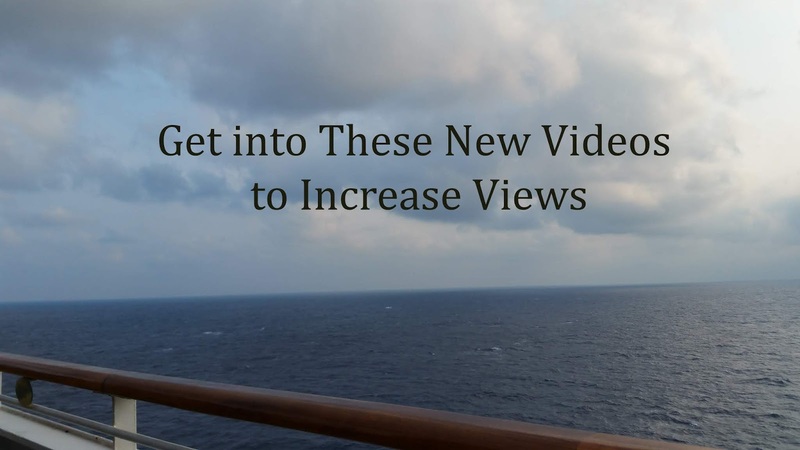 There are usually in the form of sponsored videos, but most are made because the person has bought a new product, and they want to let the world know of their thoughts on said product or service. Reviews are now used as a means to decide on what brand to buy. The consumer knows that they want to upgrade their RAM on heir computer for example, and what I went through yesterday, but they are not sure what will give them the best performance. You do not want to bring a computer back for any reason. I grouped these two together because they are basically the same thing. You are showing what you got from your favorite store or what the subscription box services sent you. I do the haul videos, not because I want to show you that I have enough money to buy it, for these are some needs and a few wants. OK, mostly wants. If you are in the hunt for the item that I bought, you will know where I got it from. Another form of this is called an unboxing video. This is mainly for those who on the fence about a service, like Blue Apron, Graze, or The Planner Society, which were the subscription box services I used in the past and reviewed on camera. Loved all three. On these videos, I am here to point out to you the products in the subscription, price, and coupon code to get a free box to start your own subscription. Both the hauls and the unboxing are 100% bought with my own money, which does not make them sponsored videos. I do it because as I said, I am an influencer, and if I like it, I will tell my viewers. Tutorials, or tuts, as I call them. The “show me how to make this project” videos. I do “this is what I made” videos because I do not have the right setup to leave the phone on the tripod and use both hands. I have a tripod to hold my phone, but I have not found the right angle for it to look down over the project. I have found a DIY video to show me how to make one from PVC pipes that cost under $5, but at this point, by the time I find the time to buy the materials and put it together, a brand new one from Amazon can arrive on my doorstep in under two hours, but I am trying to resist the temptation of buying one. Basically, it is the same as the cooking videos, you grab the materials, enough to make two, one you made off-camera, and one deconstructed and ready to make on-camera. 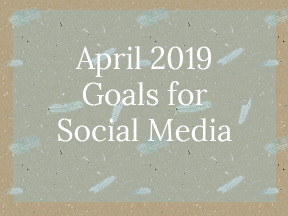 Have them ready, at least most of the prep work done, and instruct your audience to make anything from a cabinet to greeting cards to a Dollar Tree-inspired flower arrangement. These are nothing more than “tuts” on your computer. You are showing your computer screen. This can also be a gaming video. You are showing your viewer how to do a step in a software or showing viewers how to get through a game like Fortnite. This is how I learned how to create graphic designs in Photoshop or get game hints from SimCity BuildIt. I recently made a short video of my cruise in January. I was not proud of it, it was through Google from my pictures. I do not recommend this method at all. There was an unflattering picture of my friend in her swimsuit that I had to take out, and it added a video that was supposed to be a standalone video, but I left it in there because I was too lazy. Anyway, as I said in my posts back in January I had fun, but I will do my editing in the manner I see fit from now on. A couple of tips: only do highlights, unless there is a show or place you want to viewer to see if they go on this same trip and do not upload the video while there, It gives in to unwanted pest (thieves) to your home. They are always lurking on social media waiting for someone to slip up. You can edit your video while on vacation, but upload when you get home, plus you do not want roaming charges on a 5-20-minute video in the middle of the Atlantic Ocean. Whatever, wherever you go on your travels, make it an interesting video. Show the fun side, scaling back on the serious side of your trip. I am in awe of the many types of videos you can make and have a different one each time you upload. You can even combine two types into one video, like an ASMR with a Muckbang video or a “come with me” shopping video with a haul attached at the end. The trick here is to be consistent and make it interesting so the viewer will want to come back. Marketing your video through your social media also helps. If a viewer loves your channel, they will bring others. Other types of videos I missed that are popular are the daily vlog, family vlogs, and “Come With Me” videos. Daily vlogs are just that, a chronological account where you pick up the camera and talk about your day. A variant of the daily vlog is a family daily vlog where you show your family daily activities. “Come with Me” videos are videos where you vlog in a store and show new products. The trick to this video is to only show the product, record on your phone, not a regular camera where the staff can see it. Some companies do not like it. If you do get caught, simply explain what you are doing, and you are not video tapping their customers or their employees, which is a clear violation of a person’s privacy. I will explain more about these videos in my next post. Coming up: I will talk about the daily, family, and “Come with Me” type videos in more detail. Until then, be safe, have fun, and God bless.